Use Australian Aviation to reach Australia’s highest quality aviation readership, through our print magazine, digital magazine platforms, weekly e-newsletter, social media and website. Australian Aviation has over 42-years of experience in the aviation industry and is considered by our readers as the authority when it comes to aviation content. 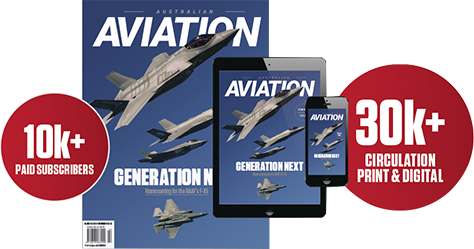 To download a PDF of a sample issue of Australian Aviation, click here.